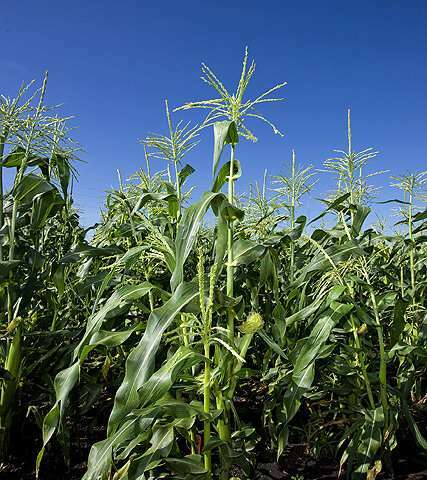 It has been previously thought that cellulose, a thick and rigid complex carbohydrate that acts like a scaffold in corn and other plants, connected directly to a waterproof polymer called lignin. However, Wang and colleagues discovered that lignin has limited contact with cellulose inside a plant. 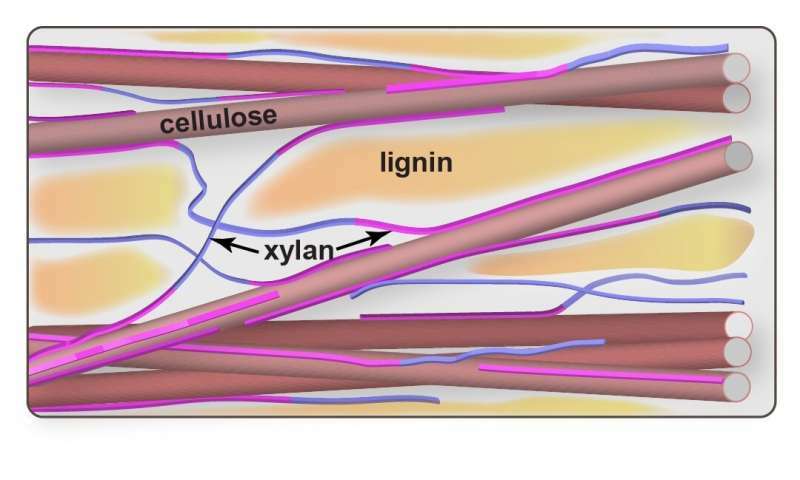 Instead, the wiry complex carbohydrate called xylan connects cellulose and lignin as the glue. Credit: Tuo Wang, LSU.